gcac036 - Brand New! - Many of us are Super Smash Bros. fans and we grew up playing Super Smash Bros. Melee for the Nintendo GameCube system with three of our friends. This new Gamecube 4 Port Controller Adapter Converter for the Switch and Wii U is just the ticket to play that way on the Switch and Wii U as it allows you to connect up to four GameCube controllers (or wireless Wavebird or other Gamecube compatible controllers) to a Wii U or Nintendo Switch system. 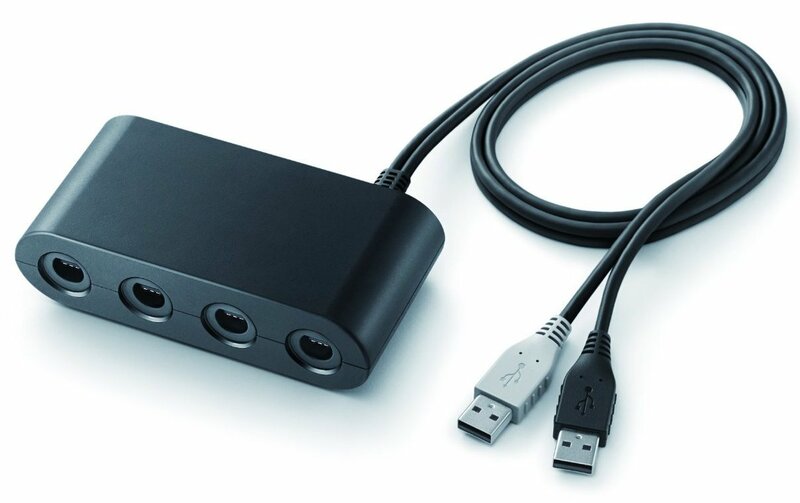 Can also be used to connect in Super Smash Bros. Brawl for Wii or connect eight controllers using 2 adapters. To honor this devoted fan loyalty to a classic way to play with friends, this adapter lets play against your friends the same way. Size: Approx. 4 6/8" X 2 1/2" X 1 1/4"